Drop off special! Everything you need for a backyard party. 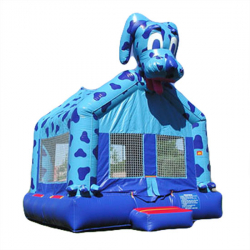 Includes 20' x 20' tent, 4 tables, 24 chairs, medium blue dog bounce house and sno-kone machine with supplies for 100 servings. This is a weekend rental, we will deliver on Friday and pick up on Monday. You are responsible for setting up all items and then taking them down so they are ready for pick.